Milk, just sitting there on my kitchen shelf. Not in the fridge. What? 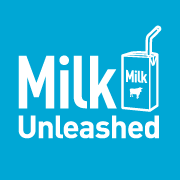 Have you ever heard of Milk Unleashed? It's also known as box milk, or shelf-safe milk. Before you start imagining the unpronounceable chemical preservative that might be in it to keep it from spoiling while it sits there on the store shelves, out of the refrigerator, let me throw an acronym at you: UHT. That stands for ultra high temperature pasteurization. No weird preservatives, just milk in a tetrapak. It tastes the same & looks the same, but you can send the little single servings to school with your kid on a hot day & it'll be fine. You can take it camping. Go on a picnic. 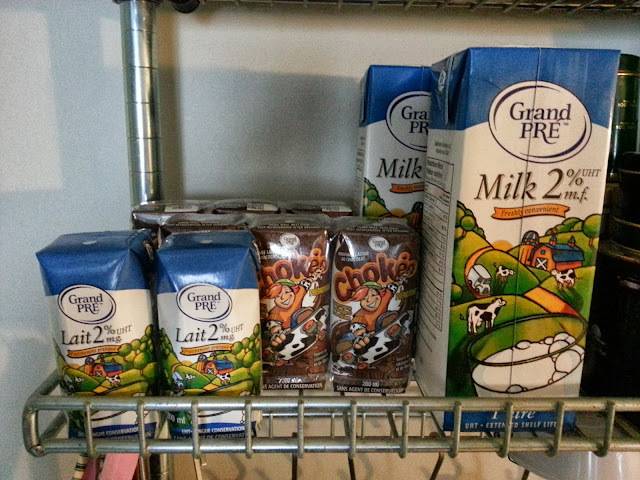 Just keep one or two around for those mornings you get up & realize you forgot to buy milk & have run out. It does have to be refrigerated once opened--it's not magic--but still, this stuff is handy. It comes in all sorts of flavours too, if you're into that sort of thing. :) For more information, see the Milk Unleashed website. Disclaimer: I received samples from Milk Unleashed, but was not otherwise compensated for this post. The words & opinions above are my own, as always.